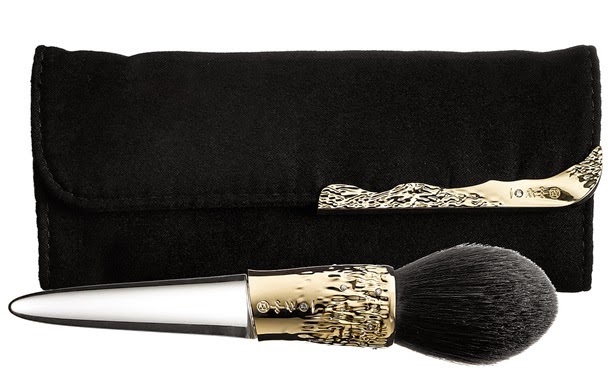 Last month I twitted about celebrity jewelry designer Alexis Bittar limited edition makeup brush for Sephora Collection. 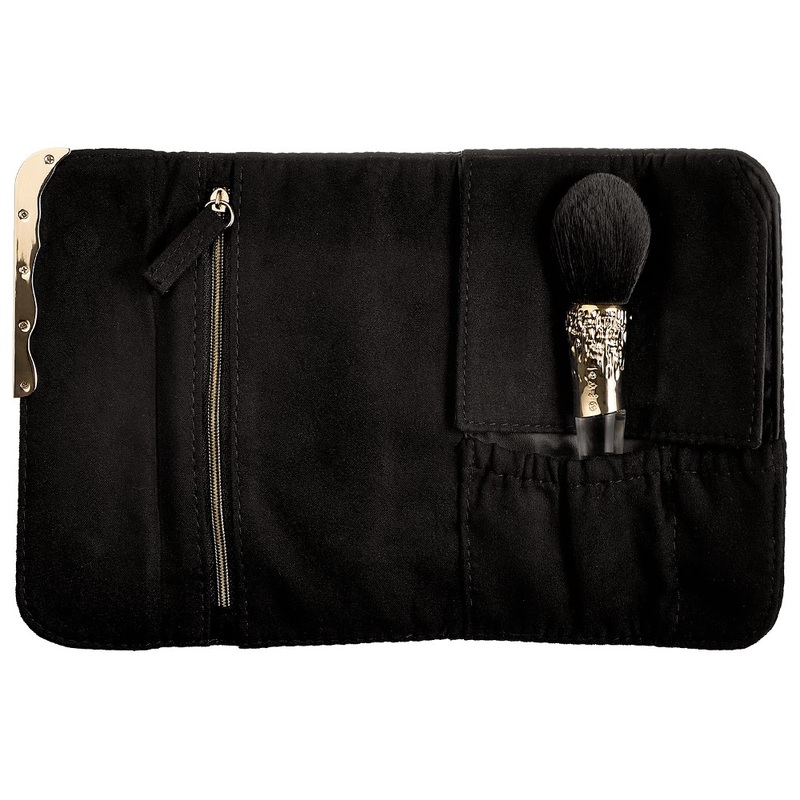 The glamxuirous 3 piece collection is called Liquid Gold which features a Beauty Brush Set, a Travel Wrap, and Compact Mirror. 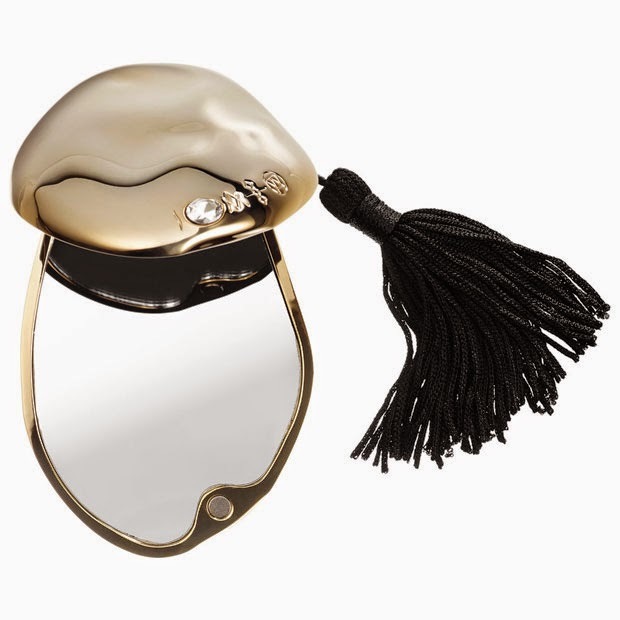 No matter how I describe this 24k karat gold plated ferrules, Swarovski crystals and lucite acrylic handle this decadent collection you have to see it for yourself. It's GORGEOUS! Definitely a fancy piece to sit on your vanity. 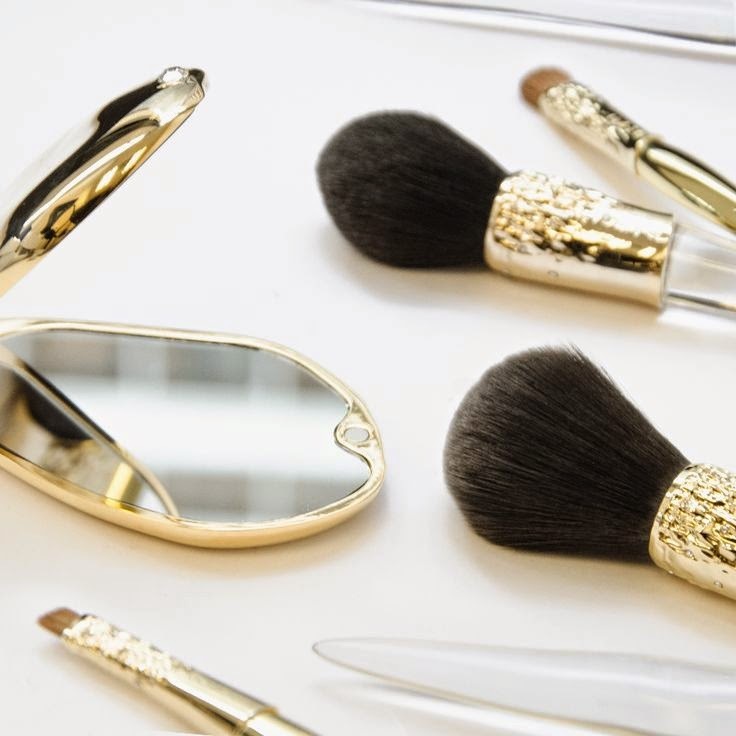 Image all the beautiful makeup looks you can create with these luxurious brushes. 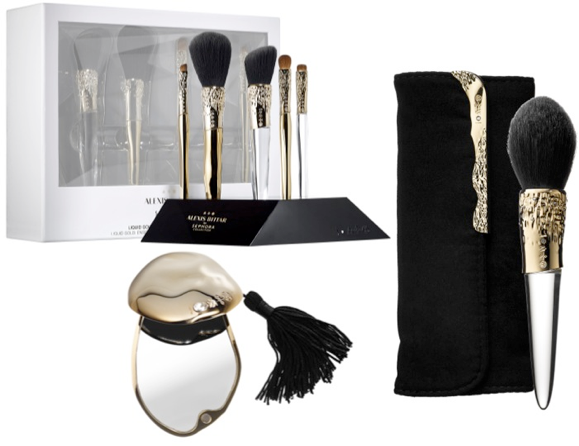 Ladies, if your looking for something to treat yourself to, I suggest this stunning collection. 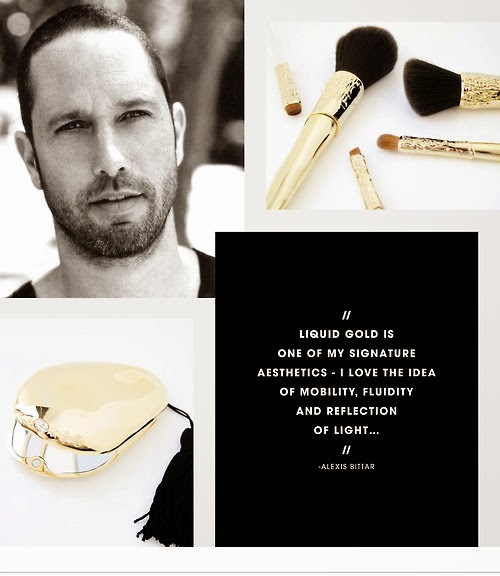 Alexis definitely created brushes with high end women in mind. Guess what, I am putting this collection on my wish list.